White House counsel Don McGahn, a consequential insider in President Donald Trump's legal storms and successes and a key figure in the administration's handling of the Russia investigation, will be leaving in the fall, the president announced Wednesday. McGahn's exit continues the churn of top officials as the administration sets records for turnover and the White House struggles to fill key vacancies. Unlike some less-amiable separations, however, Trump praised McGahn as "a really good guy" who has done "an excellent job." Trump said McGahn's departure had nothing to do with his interviews with the special counsel investigating possible Trump campaign collusion with Russia in the 2016 election. Pressed by reporters, Trump said he had approved the attorney's interviews and was unconcerned about anything McGahn might tell prosecutors. "We do everything straight," he said. "We do everything by the book." The departure of Trump's top lawyer, which has been expected, will create a vacancy in one of the most critical — and yet least visible — positions within the West Wing. Besides dealing with special counsel Robert Mueller's investigation, McGahn has had important input on a range of issues from policy to personnel to national security. 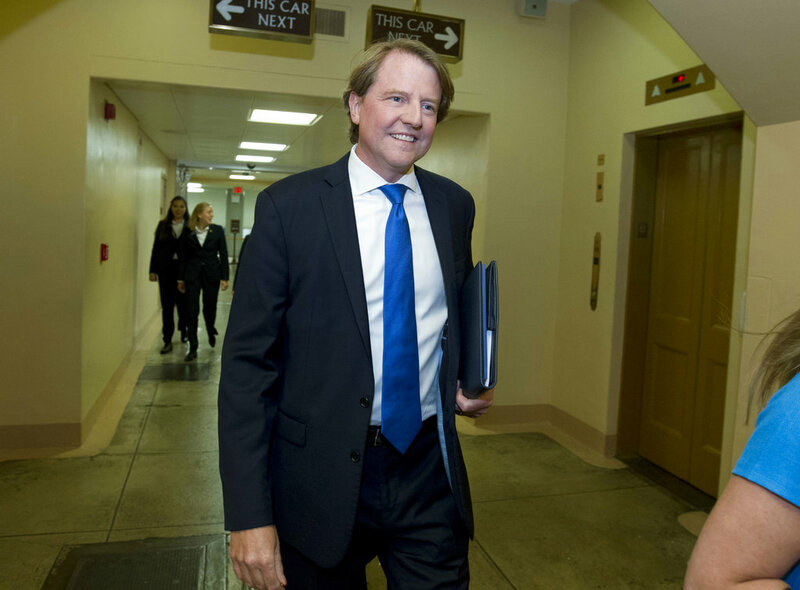 McGahn, a top election lawyer who served as general counsel on Trump's campaign, has played a pivotal role in the president's remaking of the federal judiciary with young, conservative judges. 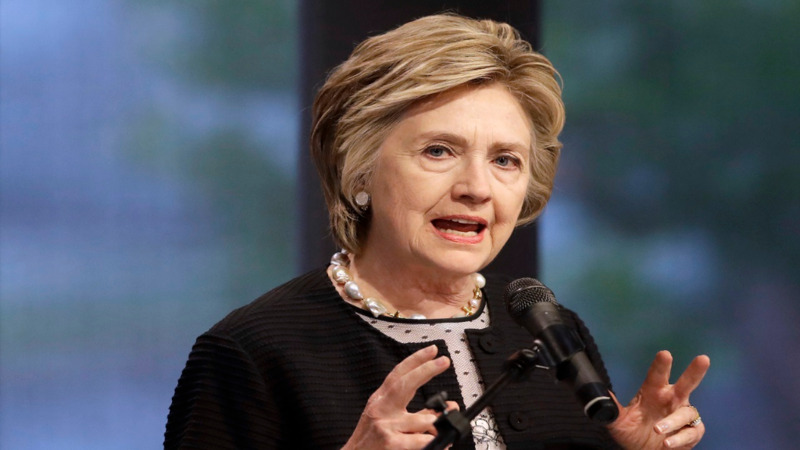 He also helped guide Trump's selection of Supreme Court Justice Neil Gorsuch and the president's nomination of Kavanaugh and helped oversee a dramatic rollback of Obama era regulations. But McGahn's time has also been marked by tumult as he has been the main point of contact inside the White House for Mueller's investigation. He has met with investigators on at least three occasions for many hours at a time and threatened to resign last year if Trump continued to press for Mueller's removal. Trump's announcement came more than a week after a New York Times report that McGahn had been cooperating extensively with Mueller's investigation into Russian election meddling and possible collusion with Trump's Republican campaign. 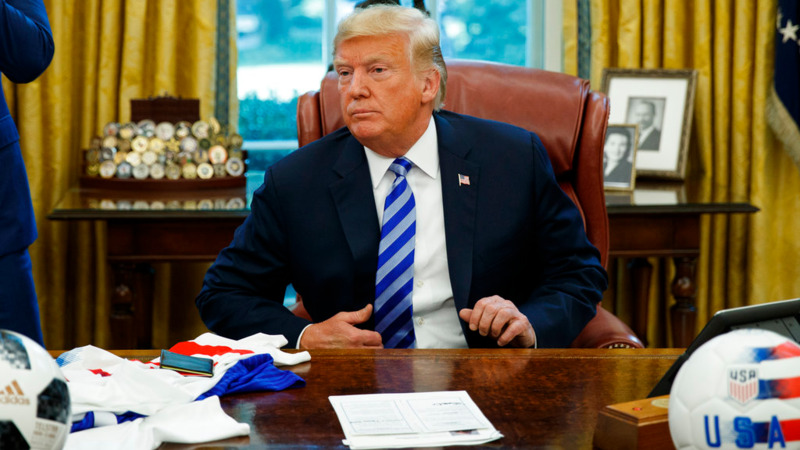 Trump insisted at the time that his general counsel wasn't a "RAT" and contrasted him with John Dean, the White House counsel for President Richard Nixon during the Watergate scandal. Dean ultimately cooperated with prosecutors and helped bring down the Nixon presidency in 1974, though he served a prison term for obstruction of justice. McGahn has been telling associates for months that he was looking to leave the White House and had discussed the timing. But Trump's tweet came as a surprise to some White House officials and lawmakers. In fact, Sen. Chuck Grassley, R-Iowa, the chairman of the Senate Judiciary Committee, tweeted after the president's announcement: "I hope it's not true McGahn is leaving White House Counsel. U can't let that happen." Senate Majority Leader Mitch McConnell hailed McGahn as the "most impressive White House Counsel during my time in Washington." He called the departure "sad news for our country." Emmet Flood, who joined Trump's White House in May as in-house counsel for the Mueller probe, has been considered a leading candidate to replace McGahn and has the departing attorney's support, two administration officials said. They spoke on the condition of anonymity to discuss personnel matters. Asked about Flood, White House press secretary Sarah Huckabee Sanders said: "People like him. He's super well-respected around the building. But there's not a plan locked in place at this point." He's not the only person Trump has considered for the role. In the summer and fall of 2017, Trump asked then-White House staff secretary Rob Porter about his interest in the counsel position. Porter, who later left the White House amid domestic abuse allegations, told the president he didn't think it was a good fit and he liked the policy work he was doing, according to a former White House official who spoke on condition of anonymity to describe internal discussions. McGahn, 50, has navigated many of the storms of the first 19 months of the Trump White House, figuring in the drama surrounding the firing of national security adviser Michael Flynn and also Attorney General Jeff Sessions' decision to recuse himself from the Russia case. When Trump announced McGahn's appointment in November 2016, he cited the attorney's "brilliant legal mind, excellent character and a deep understanding of constitutional law." McGahn, an avowed defender of executive powers, broke with some members of Trump's legal team as he encouraged a less-cooperative stance toward Mueller's investigation, believing it could constrain future presidents. As members of Trump's legal team looked into potential conflicts of interest involving Mueller, Trump directed McGahn to call Deputy Attorney General Rod Rosenstein to raise the perceived conflicts and push for Mueller's ouster, a person familiar with the matter said at the time. When the president persisted in pressing the issue, McGahn told other senior White House officials that he would resign if Trump didn't back off. Trump let the matter drop, the person said. The president later denounced the reports as "fake news." McGahn also served as chairman of the Federal Election Commission and as a counsel to the National Republican Congressional Committee before joining Trump's orbit as general counsel to the president's 2016 campaign.